Hair is one of the precious things and every one of us love to maintain a good and healthy hair. But Hair related problems are very common these days for both men and women. And in winter it becomes worse due to dry scalp, dandruff, dry hair and many other issues which we try very hard to hide it with a hat during winter. Even in summer due to sweat and heat, we face hair fall. There are many reasons for hair fall, some of the major reasons are improper nutrition, pollution and dandruff. 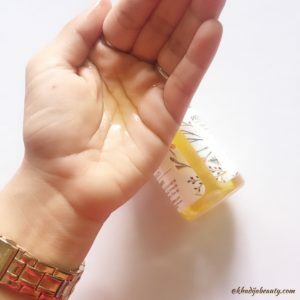 In this post I am going to introduce you all to a magical oil which is going to solve most of the hair-related issues. This has worked for me. I am completely loving it. So without any delay let me tell you everything about this “Satthwa Premium Hair Oil” in detail. Availability: Available Online on AMAZON, Flipkart, Paytm, and on the official site–Satthwa. Not only does coconut oil promote hair growth, but it also prevents dandruff and makes hair thick. Smoothens cuticles and prevents shedding. It regulates blood flow to the scalp. Darkens hair and stops premature graying. Stops split ends. Rich in vitamin A and C. It’s a natural conditioner. Minimizes hair loss and prevents graying. Acts as a fortifying agent for hair. Stimulates dormant hair follicles and helps with new hair growth. 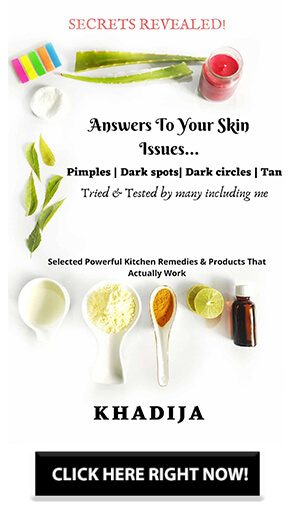 Anti-fungal and unclogs pores. Repairs hair and cleanses the scalp. Helps balance pH levels. Treats dry and damaged hair. Makes hair shine, smooth and soft. Provides antioxidants, keratin strength, and reduces frizz. High in antioxidants. Promotes hair growth and delays premature aging. 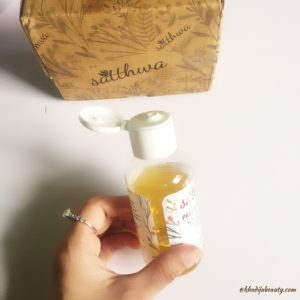 I got this Satthwa Premium Hair Oil as PR sample and to be frank with you I am very possessive about my hair. I don’t like experimenting with my hair products and if you have read my hair care routine you must be knowing that I have been using Parachute Scalp therapie for years. So I was kind off reluctant to accept it. Then I did a little research and accepted it. And I must tell this was the best decision of mine. If I had not tried this then I would have really regretted. Satthwa Premium Hair Oil is completely natural and safe to use on hair. It comes in a transparent plastic bottle with white color flip open cap. 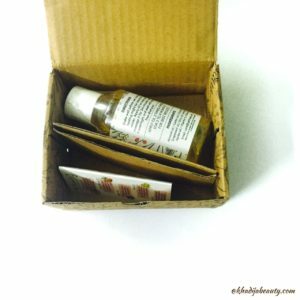 The packaging is very basic and you can find all the details on the bottle’s sticker. The bottle is well placed in a brown carton box with satthwa printed everywhere. I liked this packaging and yeah it is a travel-friendly packaging. Now coming to the consistency, it has a bit thicker consistency and it is light yellow in color. It has a very mild fragrance of mix of olive oil and castor oil. 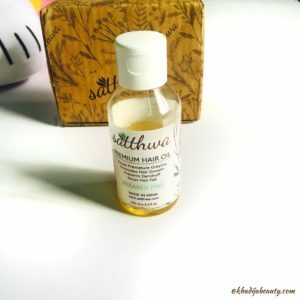 Satthwa Premium Hair oil can be washed off very easily even with a mild shampoo. I am genetically blessed with straight and silky hair(Alhamdulillah) and I observed the change in my hair texture right after my first hair wash. I applied this oil before going to bed and washed my hair next day. And after washing the hair, my hair became softer than before. I wanted to check its effect so I did not use conditioner. But my hair felt the same way how it used to be after using conditioner(without using conditioner) The blend of oils which has been used in Satthwa Premium Hair Oil are proven natural hair conditioner. So Satthwa Premium Hair Oil improves the texture of the hair. It conditions the hair and when the hair is well conditioned, hair fall decreases gradually. After using it for almost 1 month, it has decreased my dandruff also( though I had mild dandruff). I had the issue of dry scalp and since I started using this oil, I was surprised to observe that I don’t have dry and flaky scalp anymore My hair has been growing well so I don’t know if this oil is making my hair to grow or it is my normal growth Almost all of their claims are true. I don’t have any gray hair so can’t comment on it. 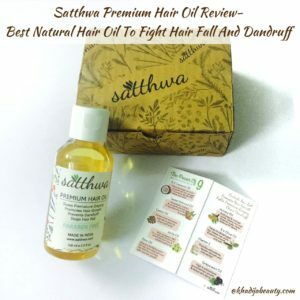 I am completely blown with Satthwa Premium Hair Oil. I would recommend every single of you to give it a try. Trust me you will love it. My reviews are always honest and I am strongly recommending you not because I received it from the brand. Satthwa Premium Hair Oil has become my regular hair oil and not just me I have made my brother also to use it. I am surely going to re-purchase this oil. To be frank, I have ditched my previous oil which I have been using from my schooling* I didn’t wanted to sound mean, but can’t help it* Satthwa Premium Hair Oil is a bit on the pricey side but it is worth the money. It is not the quantity but the quality that matters. None. I am going to re-purchase this. If you are facing any hair issue, I would stronglyyyyyy suggest you use this. Because this has really improved my hair texture and since I started using Satthwa Premium Hair Oil, my scalp dryness was completely gone. That is it Lovelies. Hope you liked the review. Are you going to try this out? If you have any queries or doubts then feel free to ask me in the comments or dm me on Instagram If you liked this then please follow and subscribe me and stay tuned for more such reviews. 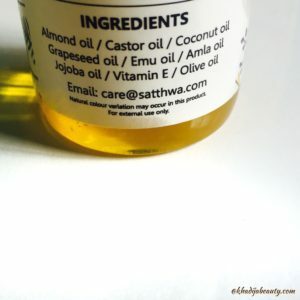 I love how Satthwa combines different oils for maximum benefit. Loved your honest review! Nice. I am experiencing pre mature grey hair. What hair oil will work from spreading all over. I have just started using this hair oil and I am experiencing lot of hair loss while applying it 🙁 Is this the same case with you?If no,what is the correct method of applying it? i am using it for like 4-5 times and my hairfall has increased. its highly expensive and doesnt give any solution fr hairfall at all. instead simple coconut oil didnt cause any hairfall. Never going to purchase it. Ohhh sad to hear that. I am using it for the past year. Ahh I wish I could buy it! Going to try to make it on my own and see how it goes. You are not alone, my hair started to fall and later I realized that they have become so thin that I could clearly see my scalp from the front. I was terrified, I thought I will go bald and that’s when I started to buy every product which I thought would work, but nothing did. Used for first time today for hairfall. My hairfall increased after using this oil.dont know whether it will take time to show its effect. No hair oil can show the result( positive/negative) after the very first wash dear. I would suggest, you use it for at least for 20-30 days before coming to any conclusion. But yes after using it 3-4 times if you observe that it is showing a negative result then discontinue because not all the products suits everyone. I reviewed it after using it for almost a month and this is working great for me and most of the people who have used it. I am about to buy my third bottle. Your experience with this hair oil is great.I have so much gray hair if it can do something about that then I am sold out for this. I really REALLY want this product. Can I get this in Pakistan? This oil sounds really promising. I am looking for an effective hair fall solution. Losing hair like crazy. This product looks promising since I have used a DIY hair mix in the past. Sounds like a treat to the scalp! A blend of 9 oils sounds impressive! Wow nicely reviewed.. Will try it for sure? 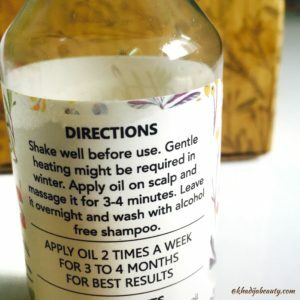 Good to hear that this hair oil worked for you!